I am deeply grateful to John “Grungy” Gladu for (among many other things) doing the considerable work of scanning several discs worth of Bert Roth-era (late ’60s through ’70s) MOB photos. 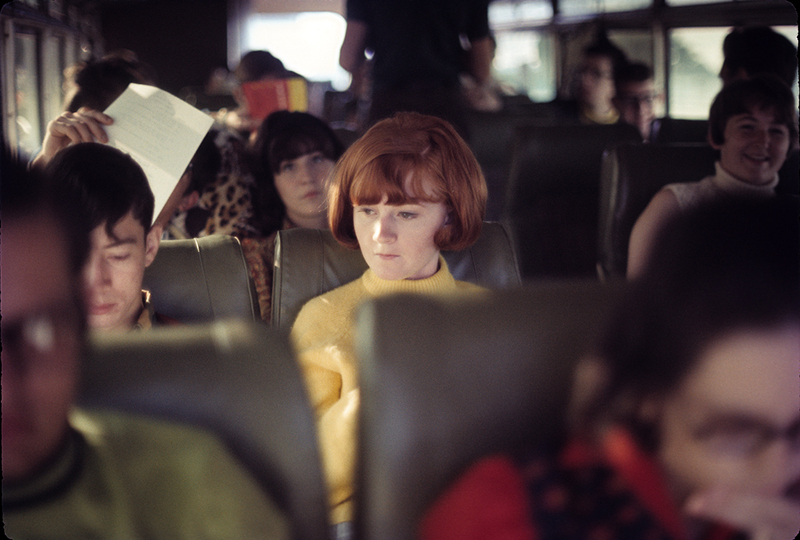 As I looked through them this morning, I found that the image I most wanted to share was one of gentle loveliness on a band trip to SMU in 1968. I don’t know who she is. The subject is unknown, but the woman on the right, above center, is Lea Connor, who continued to participate in The MOB until Bert Roth retired in 1980. The photographer is also unknown, but I’m still checking.